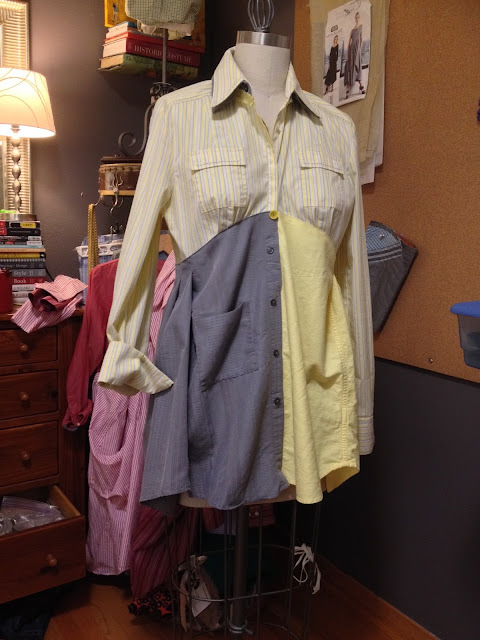 Hi, I am Michelle, an upcycle sewing guru and patternmaker. One of the things I love about using existing clothing to make new fashion is the mixing of fabrics from different garments. 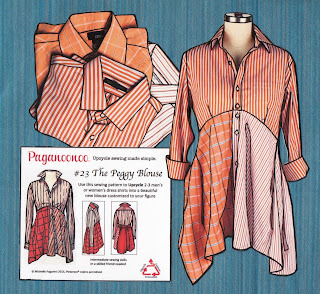 Pattern and color placement greatly influences the look and “mood” of the final piece. 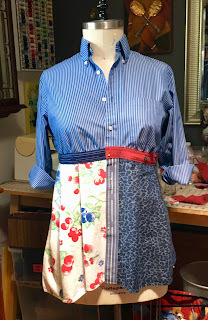 Recently I was in the process of making myself a top from one of my patterns, the “Peggy” blouse, and I arrived at a decision point about color choices. 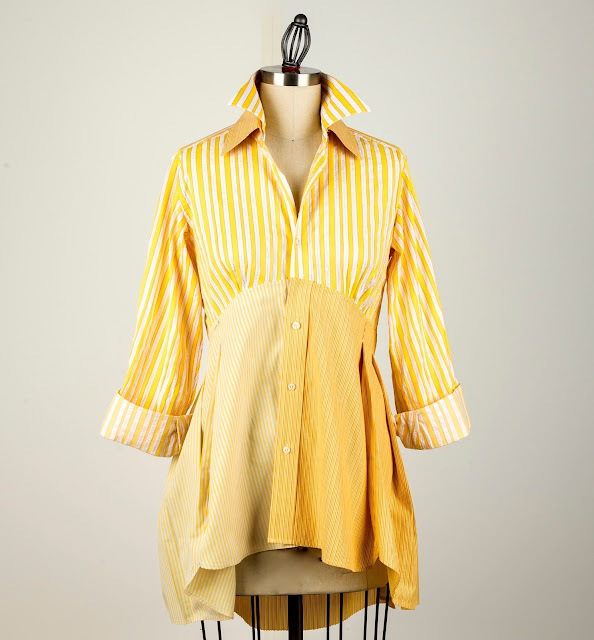 I’m loving this version of the Paganoonoo Peggy Blouse in yellow. We are in the middle of a terrible drought in California. Trees are in distress, lawns are brown and it’s been very, very hot. So…when it rained for a short time a couple days ago I shouted YAHOO! And now the weather finally feels like there is a bit of Fall in the air. Hello,I’m Michelle Paganini, owner of Paganoonoo, an upcycle fashion designer and patternmaker for Paganoonoo.